 Vascular Clinic is a general surgery clinic in South Tukoganj, Indore. The clinic is visited by general surgeons like Dr. Tarun Gandhi. Some of the services provided by the clinic are cardiovascular disease and vascular assessment. Took appointment for 10.45 , reached 15 min before , was told its doctors surgery day and will come by 11, after that 7 patients are already waiting . No use of giving appointment when the patient has to wait 1-2 hrs. Patients time has value too specially if he is working. Very good suggestion for patients according to the disease. Precautions is more important for health than medicine.